Willson learning to play cricket. Below is a documentary on Suchana Community, an organization based in a village called Khonjonpur in the district of Birbhum, West Bengal, India. Suchana is a non-profit that lends support to very marginalized children three to 16 years-old in literacy and other educational activities. The children are mostly from the Santal and Kora communities - the majority of them are aspiring to be the first generation in their families to be literate. This film was made by students from the Jamia Millia Islamia University, New Delhi, India. 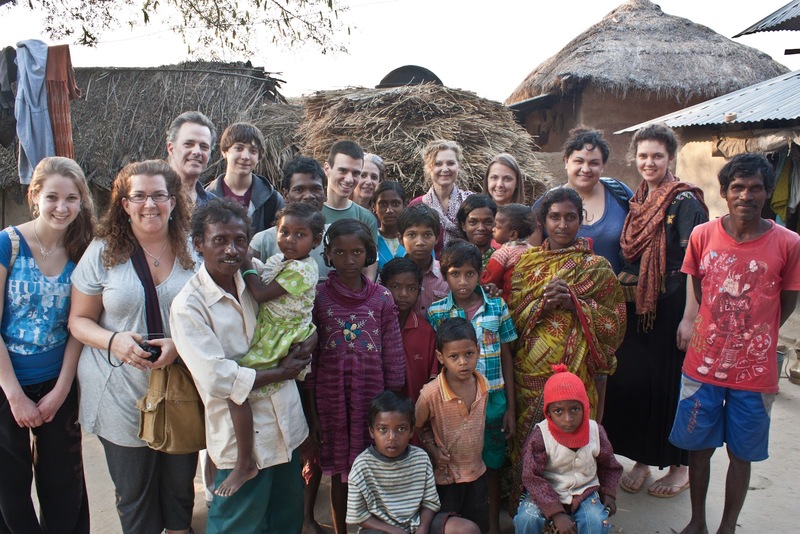 We - volunteers with Humanitarian Travel Abroad - visited Suchana last January, 2012. During our visit we helped to paint the flower pots you see and one of our volunteers, Danny, brought the stilts and small soccer game for the center. Both are hand-made by Danny's father! I think this organization is everything a good non-profit should be, culturally sensitive and sustainable. You can see for yourself by watching co-founders Kirsty and Rahul relate their philosophy in this piece. Great job of filming and editing by the university students too!